There's plenty of freedom in being a sailor: out there on the open water, wind in your hair, the smell of sea salt all around. Who doesn't want to feel that free? 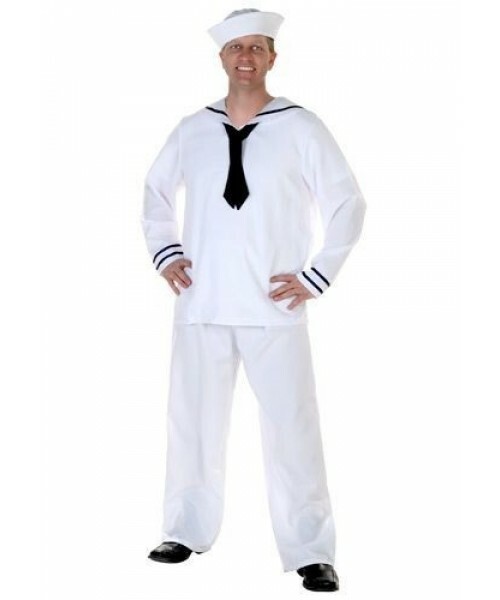 Give it a try in a Plus Size Men's Sailor costume. 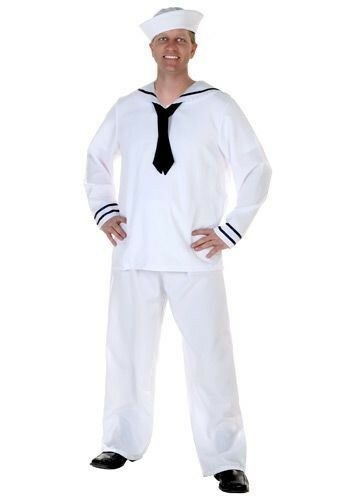 When you get a sailor costume, you may feel the sudden urge to jump onto a ship and set sail into the great blue yonder. Some people spontaneously burst into song like Sinatra in On The Town. Others can't help but do the YMCA. What do all these folks have in common? They're having a blast in a sailor uniform. Isn't it time you had your own sailor stories to tell? You'll need a costume for that, luckily, we have 'em.